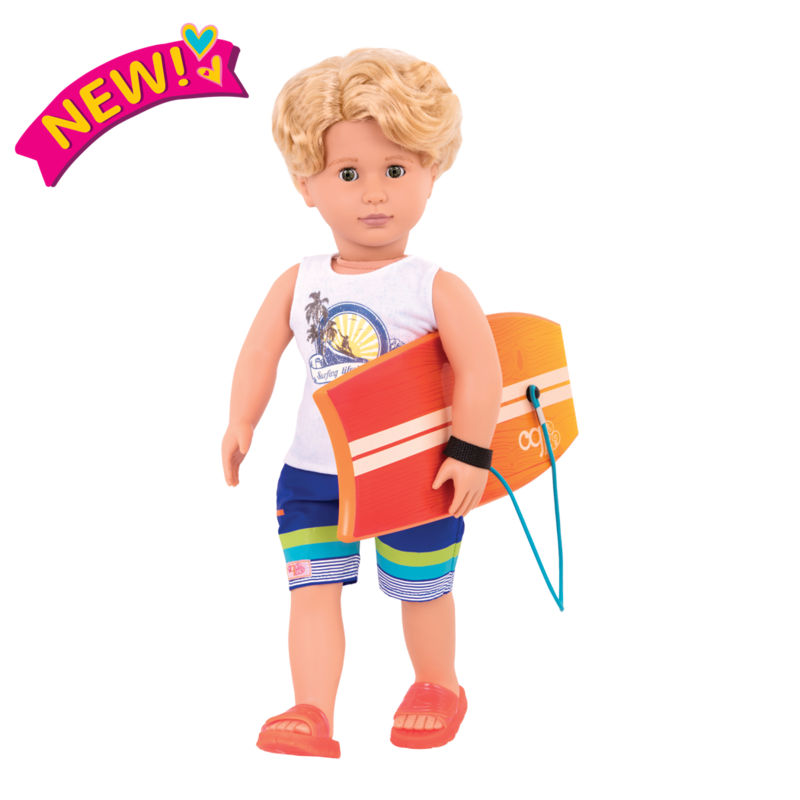 Make a big splash with this cool 18-inch surfer doll! Every wave is a challenge and a new adventure! Surf’s up! 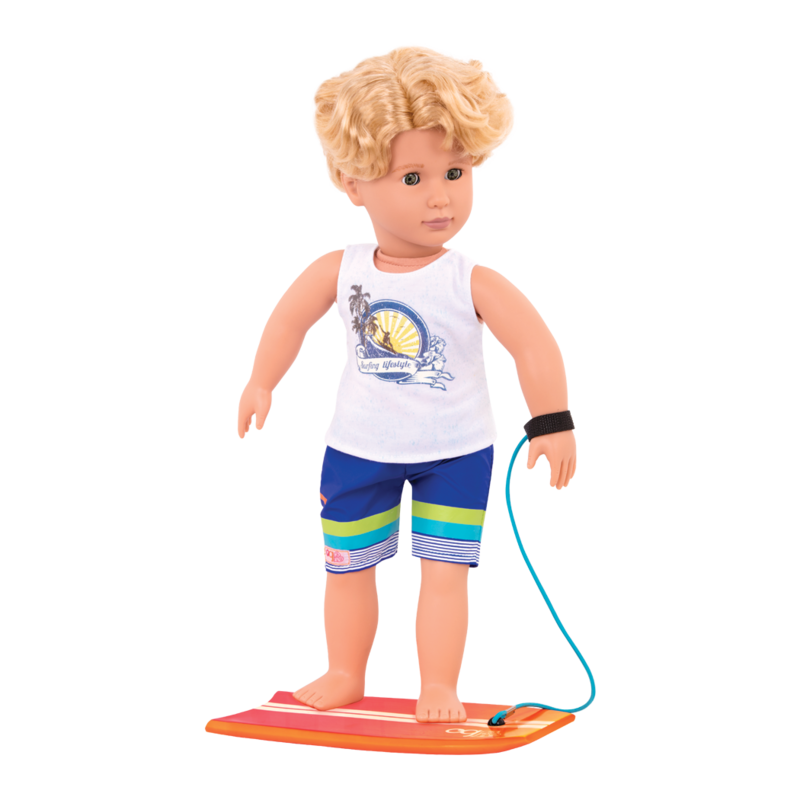 Catch some waves and maybe even learn how to hang ten with Our Generation Regular Doll – Gabe, a surfer boy 18-inch doll with bright green eyes and casually-long, wavy golden-blonde hair that is super fun to brush. Because there has never been a group like us. We’re teaching our families to recycle, planting gardens, and helping out at the local animal shelter. And when we’re not saving the world, we’re busy running down grassy hills as fast as gravity will take us, arms outstretched to the world. We are having the time of our lives and we’re enjoying every minute of it. This is our time. This is our story. Beach Accessories for 18-inch Dolls! There’s nothing I like better than balancing on a wave or feeling the sand in between my toes! 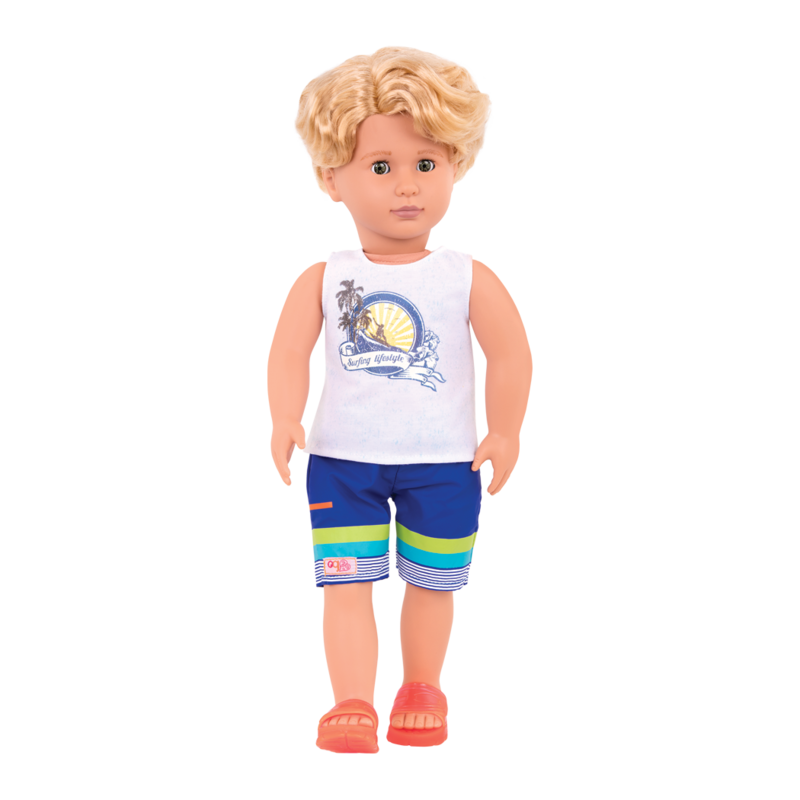 Gabe is a handsome non-posable doll who can rotate at the shoulders, hips, and neck to be moved into different positions. 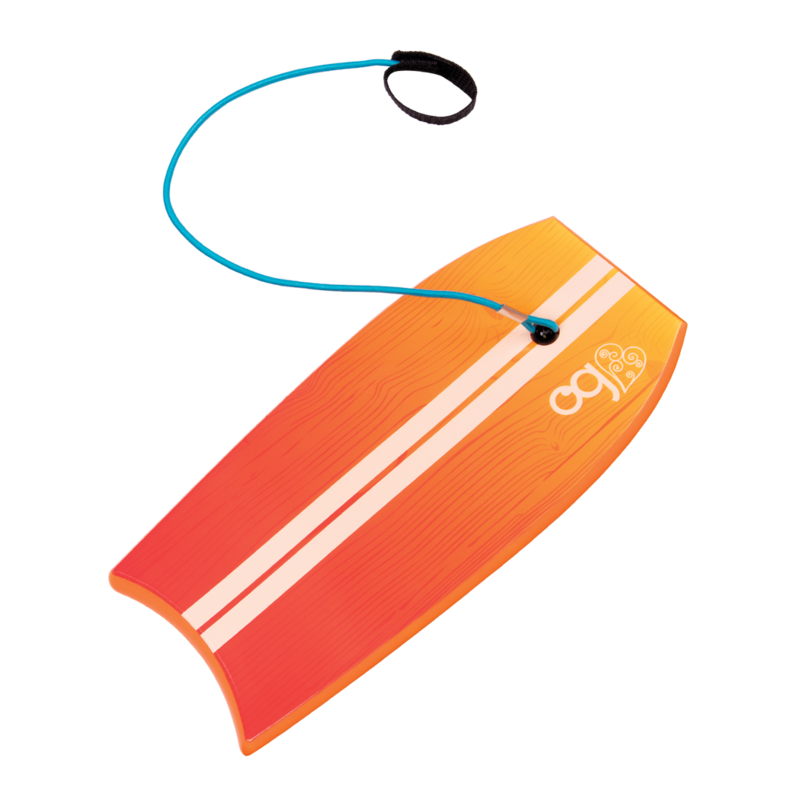 He wears a relaxed summer outfit featuring a tank top with a “Surfing Lifestyle” print, blue striped board shorts, and comfy bright-orange flipflops, and he comes with his very own orange surfboard! Gabe loves to explore the oceanside and hang out on the beach. Please note: Gabe loves the pretend beach, but real water and sun can damage him! 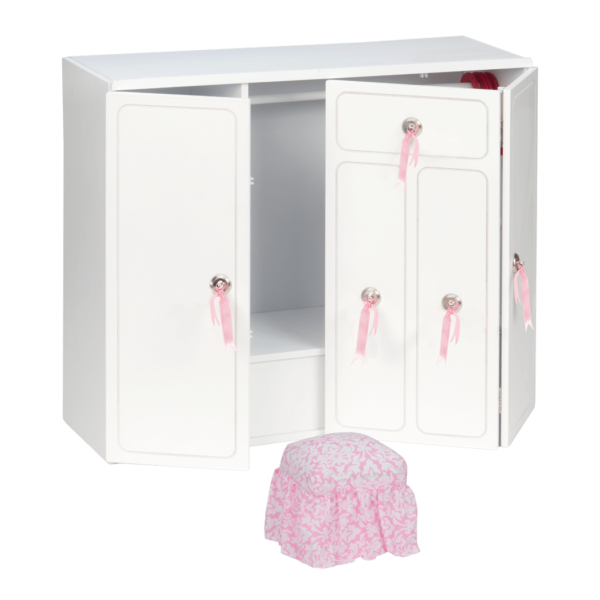 There are so many accessories for 18-inch dolls who love to play outside by the beach, and with a little mixing and matching you can build Gabe a great wardrobe full of outfits! Check out the Fall for Volleyball outfit, or the Campfire Cutie outfits as a great place to start! 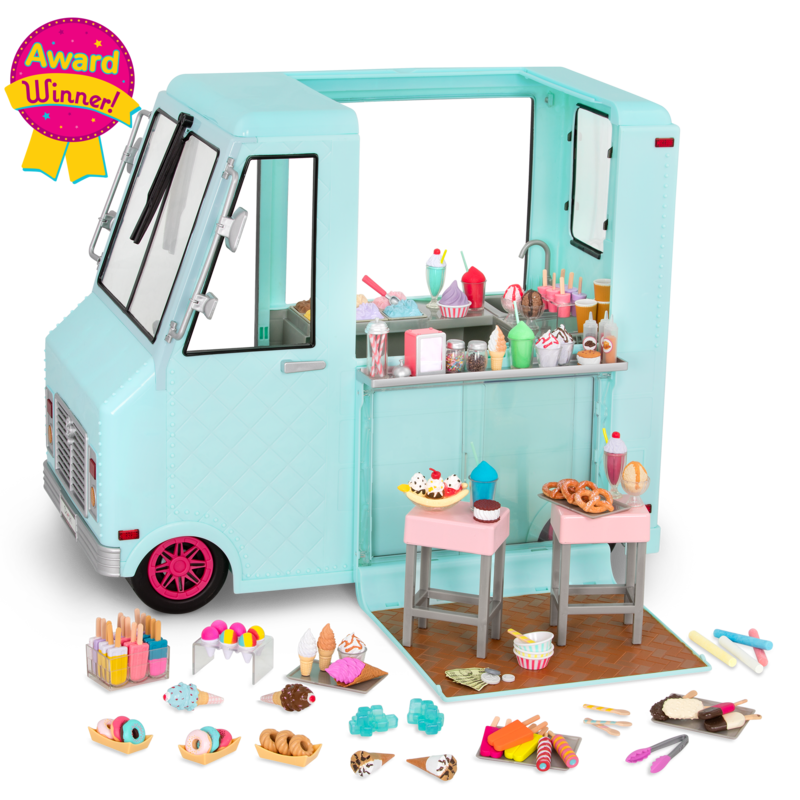 For more fun beach accessories for your dolls, the Day at the Beach set has everything you need for a fun day on the sand. 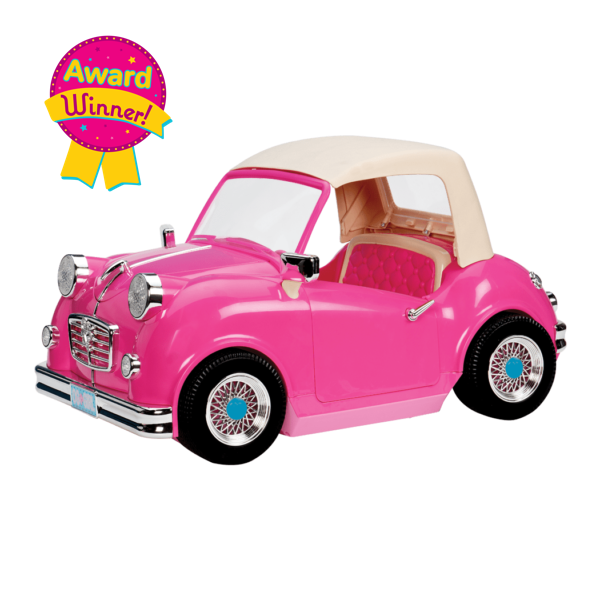 And for dolls like Gabe who love to explore, check out the OG Off Roader, the perfect vehicle for traveling along the coast! Gabe has a cool hairstyle that reminds him of his favorite surfers. It's a modern, wavy cut with a side part that is a little longer in the front so that he can flip his bangs to the side. So cool!